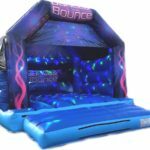 We are a bouncy castle hire company based in Shipley, we offer anything from toddler bouncy castles, children’s bouncy castles, adult bouncy castles. soft play, ball pools, bouncy castles with slides, disco domes, slides, fun runs, assault courses,wedding bouncy castles, action games, and much more, We have an outstanding reputation with 5* feedback. We pride our self on fantastic customer service skills from the very first phone call to right after your event has finished. 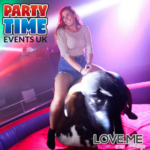 We cover any event from birthday parties, engagement parties, weddings, fun days, school events, christenings, anniversary’s, family get together, corporate events, team building events, opening days & promotion events. The areas we cover are Bradford, Leeds, Harrogate, Ilkley, Otley, Keighley, Barnoldswick, Nelson, Skipton, Settle, Blackburn, Clitheroe, Silsden, Keighley, Colne, Barnoldswick & Burnley although we also cover many other areas within North Yorkshire, West Yorkshire and some parts of Lancashire too.